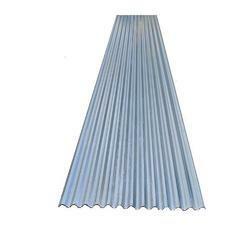 We are a leading manufacturer and supplier ofDeck sheets & Decking sheetsbased in Ghaziabad. 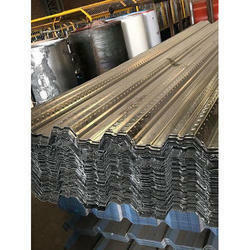 TheseDeck Sheetsare widely used for composite floor system and in many cases as the permanent formwork. 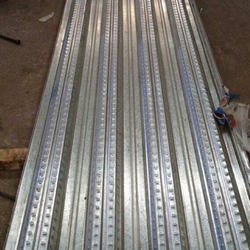 These Deck sheetsare used as the floor of high buildings by saving both the steel quantity and extra save cost. 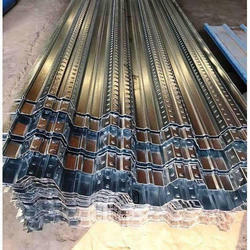 TheDecking Sheets are flat surfaces or platforms capable of supporting flooring and roofing sheets and these are connected to the outer or inner part of building astructure. 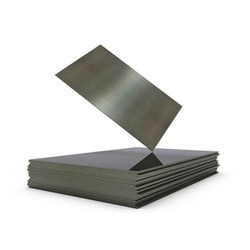 These Deck sheets are very helpful in reducing the concentrated loading effect of roofing on the building structures by proper distribution of load & weight. 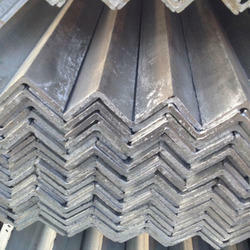 Steel, aluminum or alloy is usually used as the base material for manufacturing these Deck sheets. 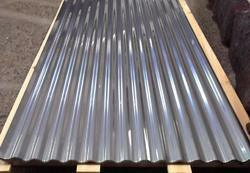 In normal roofing and flooring, decking enables to transfer of the shearing forces and help to retain the proper structure of roofing. 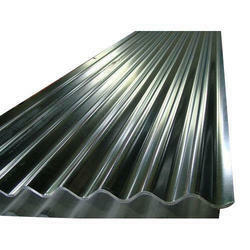 To cater the variegated needs of our esteemed customers, we are highly engaged in offering a wide array of MS Angle. 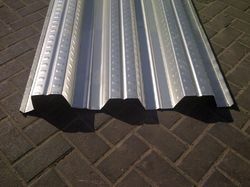 We are the largest manufacturers of Composite Decking Sheets.We are instrumental in providing our clients a comprehensive range of Industrial Roofing Sheds. 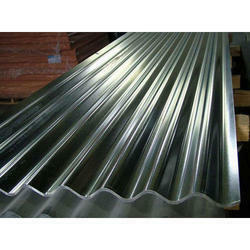 Being a well-established organization, we are engaged in offering a distinguished range of MS Flat Sheet. 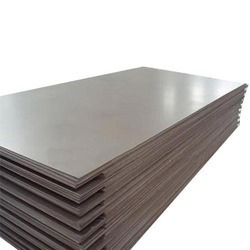 Being one of the renowned firms in the industry, we are decidedly involved in providing a premium quality array of Galvanised Plain Sheet. 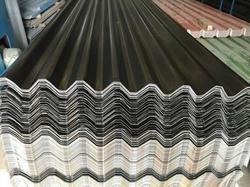 Backed by huge industry experience and market understanding, we are involved in offering a wide array of Iron Sheet to our valued patrons. 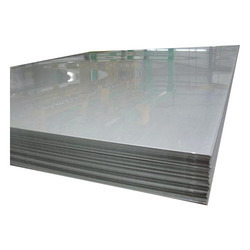 Being a leader in the industry, we are engaged in offering a qualitative range of Hot Rolled Sheet to our clients. 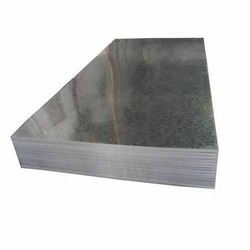 With a firm commitment to quality, our organization is involved in offering a wide ambit of Cold Rolled Sheet. 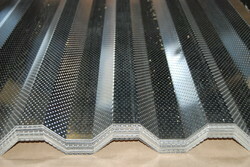 We are offering GI And Composite Deck Sheets to our customers. 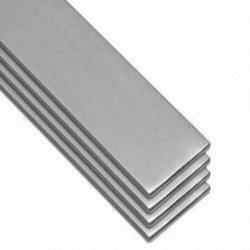 Looking for Deck sheets ?